Industry in Wales has declined over the past 30 years, but its profile as a tourist destination has grown in size and diversity. Former industrial sites have been converted into museums to preserve Welsh heritage but they are also being reshaped and reinvented into unlikely tourist attractions, from adventure parks to wildlife havens. Spending time deep underground in dark, cold conditions might not sound like an enjoyable pastime, but people have been going to Big Pit Mining Museum for the past 30 years to do just that. The museum has welcomed more than 3.5m visitors from across the world since it conducted its first underground tour in April 1983. The mining museum was converted from one of the last working deep shaft mines that were earmarked for closure in the early 1980s. 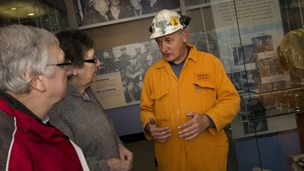 The underground tour offers a chance to explore mining conditions 300 feet underground and to talk to real-life miners who relate their first-hand experience of working in the pits. Peter Walker, keeper at Big Pit Mining Museum says: "As you stand at the top of the mine shaft kitted out in helmet and cap-lamp the realisation that this is no Disney-like simulation starts to strike home." "It's not just the hole in the ground that is authentic. These 'costumed interpreters' are the real thing and have the blue scars and personal experiences to prove it." 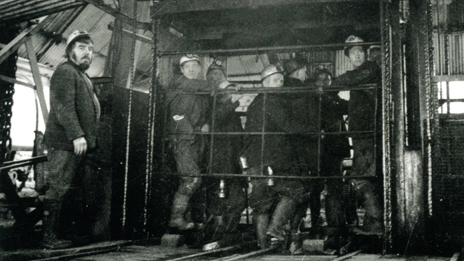 So what is it about coal and industry that continue to fascinate us today? Peter Cole from Capital Region Tourism said: "There is still a collective folk memory of how coal, iron and steel literally forged the nation. 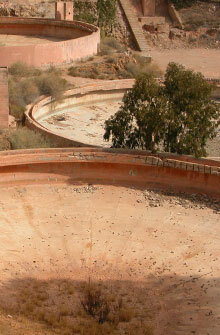 It is also the scale of such undertakings contrasted with the human stories of those involved which fascinate." "Our industrial legacy - economic, social, cultural and emotional - has largely shaped our nation and created the Wales that most people recognise today, including musical and sporting traditions." Another underground experience is offered at the Llechwedd slate caverns near Blaenau Ffestiniog, a popular tourist attraction since they opened in the early 1970s. On the Miners Tramway tour, visitors take a train ride half a mile inside a mountain. A second tour of 10 underground chambers tells the story of Sion Dolgarreg, a young boy who worked there in the late 1800s. Sean Copsey from the attraction explains: "The tours offer people the chance to step back in time and see just how hard life really was for people in the 1850s to the 1900s. "As well as being part of the local culture and heritage you have the added excitement of actually going 350 feet underground to see the chambers that were worked by quarrymen." Some former industrial sites have been reinvented to attract an adventurous breed of visitor. They include Penrhyn Quarry in Bethesda, which was once one of Wales' largest slate mines, but now boasts the longest, fastest zip-wire in Europe. At the recently opened attraction, visitors are given a brief history of the slate mine before they embark on a flight attached to a 700 foot zip wire which takes them down to the bottom of the old quarry at speeds of more than 100 mph. The Blue Lagoon at Abereiddy in Pembrokeshire, with its brilliant blue water, is another unlikely former industrial site. The lagoon, a flooded slate quarry, is an ideal spot for scuba diving and wild swimming, with some remnants of the old mining structures still visible as a reminder of its past. 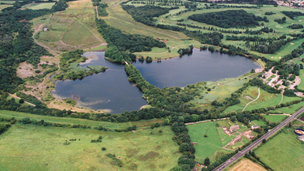 It's hard to imagine that the two beautiful lakes in Cosmeston Lakes Country Park in Penarth were working limestone quarries as recently as 1970. The park, which opened to the public in 1978, offers a tranquil setting which is a far cry from its industrial background. The two flooded quarries are now a haven for local wildlife, attracting large flocks of waterfowl, including swans, mallards and the great crested grebe. 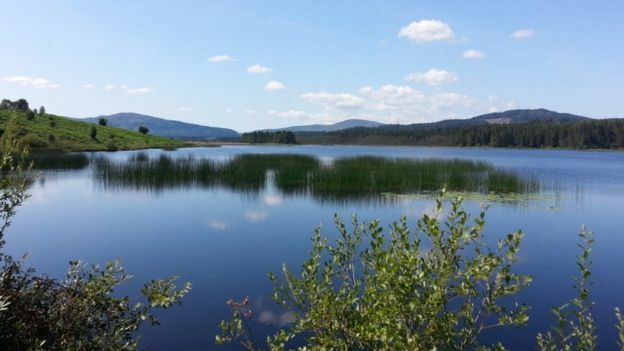 The Keeper's Pond, also known as Penfforddgoch Pond, near Pwll Du in the Brecon Beacons, is another popular spot for picnics and walking. Despite blending into the local landscape, the pond is a man-made product of the industrial age. It was built in the early 19th century to provide water for nearby Garnddyrys Forge, which started production around 1817. When the forge was abandoned in the 1860s, the pond soon became a local beauty spot. Today it attracts local hang gliders and paragliders who launch from the nearby Blorenge. There are still plenty of clues to the area's industrial past nearby, such as abandoned forges and giant lumps of iron slag. Industrial tourism is not just about the past. Attractions are springing up to meet visitor demand in businesses running in Wales today. Peter Cole of Capital Region Tourism explains: "Most people immediately think of industrial heritage and visits to the likes of Rhondda Heritage Park, Big Pit or the Llanberis Slate Museum. "But there are living contemporary industries opening their doors to visitors, such as Penderyn Whisky, Blaenavon Cheddar or Rhymney Brewery. "Even the Doctor Who Experience in Cardiff Bay is a product of our creative sector expertise."